The Sr. Operations Manager will lead operational excellence in our manufacturing site based in Minneapolis, Minnesota, supporting 2 product lines generating more than $100M in the Chemical Analysis Department. These 2 product lines design, produce and deliver equipment that analyzes, detects, monitors and controls manufacturing processes for the bulk, food, beverage and pharmaceutical industries. Lead our Minneapolis site by driving appropriate communication to the employees, facilitating connections between all the functions on site and managing all the Safety and HR processes on site. Drive rapid improvement in productivity and margins through process improvement practices, and overall simplification of our Operations processes including outsourcing of Non-Core activities to preferred Third Party partners. Through partnership with R&D and marketing, dramatically improve time to market and quality of new product releases. Drive change and major improvements in speed of execution. Develop the manufacturing staff to drive the performance of the product lines. Drive continuous improvement and standardization. Create metrics to measure performance. Utilize a continuous process improvement plan with a focus on Safety, Quality, Delivery and Costs. Oversee and administer all departments and capital budgets. Provide guidance in the selection and appraisal of key managerial personnel. Provide leadership in the development and implementation of company policies. Develop action plans with sales, engineering, manufacturing and finance to ensure that customer expectations and company objectives are met. Bachelor’s Degree in Business and/or Engineering. 8-12 years experience leading a manufacturing operation to a high degree of operational excellence including modernizing and relocating processes between sites and continuous improvement efforts that drove significant improvement to EBITA worldwide. Experience in multiple areas within a job-shop manufacturing environment including; supply chain, production planning, inventory control, manufacturing engineering and project management. Proven track record of driving change across value streams and demonstrated ability to be an effective change agent within a global organization. Highly energized and self-motivated with experience working with teams to implement change. Preferred experience in the packaged goods and/or job shop industry. Ability to provide global vision and leadership to execute change for on-going operational excellence. Apply urgency to issues that require it. Driven and self-motivated; Calculated risk taker with a high bias for action that achieves results. Excellent interpersonal skills, team player. Ability to generate enthusiasm and build effective working relationships globally. Solid foundation and knowledge of engineering principles, manufacturing methods, materials management, finance and working knowledge of IT and facilities. Excellent oral and written communication skills to communicate critical issues. Ability to coach & mentor people and effectively work, influence, and negotiate in global cross-functional team settings. Strong team building skills and the proven ability to work with a diverse group of people. Ability to develop high levels of credibility and forge solid and positive professional relationships with subordinates, peers, and upper management. 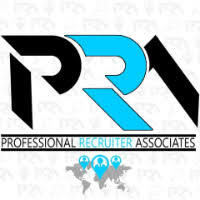 For immediate consideration, please forward a copy of your current resume to info@profrecruiters.com referencing job #1749 or a link to this job.